The National Grange recently re-released a DVD of an address, titled the Symphony of Health Care Delivery, given by Dr. Louis Sullivan, former U.S. Secretary of Health and Human Services, to the delegates and members attending the 141st Annual Convention of the National Grange in Reno, NV in November of 2007. In that address Dr. Sullivan encouraged Grange members to continue pressing to make health care more accessible for rural residents. Written and delivered prior to the current intense political debate over the direction of national health care reform legislation, Dr. Sullivan's calm and thoughtful presentation draws heavily on his more than 50 years of personal experience as a health care practitioner, educator, and policy maker. In contrast to the often-acrimonious charges and counter charges in the press today leveled by proponents of various strategies of national health care reform, Dr. Sullivan avoids pointing fingers, assigning blame or unduly raising expectations regarding our current health care system or what we should expect from national health care reform. Instead, he draws a number of common sense, understandable, and logical conclusions about necessary reforms that are critical to make sure all patients, including rural patients, receive the best possible treatment. "We have a health care system with many strengths, but also with glaring deficiencies. We have the most robust research enterprise of any nation for developing new drugs. We have a very strong medical education system. But we have a system where the costs are out of control, " Dr. Sullivan tells the Grange delegates. He also notes that one important way to cut those costs is wider reliance upon preventive health care. "Having all of our citizens recognizing the responsibility they have in protecting their health and that of their families is extremely important," he concludes. As a public service, local Granges, Grange members, church, and/or local civic groups who want to view this informative and thoughtful presentation on the key issues surrounding national health care reform can receive a free copy of the National Grange's The Symphony of Health Care Delivery DVD by e-mailing Samantha Johnson at sjohnson@nationalgrange.org. 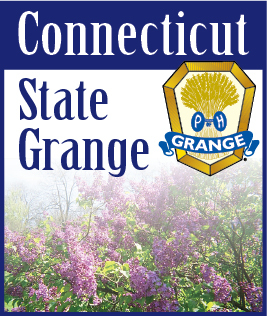 To see a preview of the 40 minute speech, please go to www.youtube.com/nationalgrange.